Guy: This week welcome to the show Dr. Dale Bredesen. 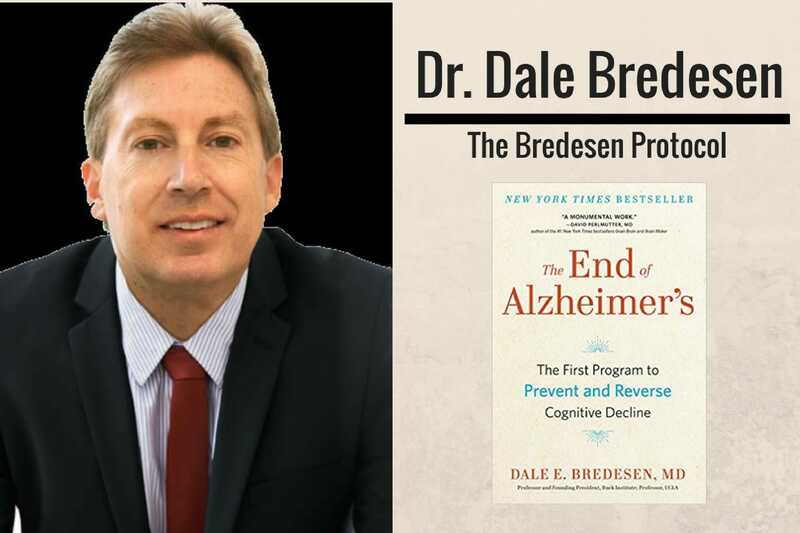 Dr. Bredesen is internationally recognized as an expert in the mechanisms of neurodegenerative diseases such as Alzheimer’s disease. He graduated from Caltech, then earned his MD from Duke University Medical Center in Durham, NC. He served as Chief Resident in Neurology at the University of California, San Francisco (UCSF) before joining Nobel laureate Stanley Prusiner’s laboratory at UCSF as an NIH Postdoctoral Fellow. He held faculty positions at UCSF, UCLA and the University of California, San Diego. Dr. Bredesen directed the Program on Aging at the Burnham Institute before coming to the Buck Institute in 1998 as its founding President and CEO. In your opinion, what causes the onset of neurodegenerative diseases? Are they as common as we are led to believe, and should we be worried? How do we test for NDD? Is alzheimer’s preventable/reversible, if so what steps should we take? How important is the role of nutrition and/or functional medicine in the prevention of NDD? If someone listening to this has been diagnosed with a neurodegenerative disease, what immediate steps would be the most useful from a treatment perspective? Hey, everybody, this is Guy Lawrence, of course, from 180 Nutrition. Welcome to another fantastic episode of the health sessions, where every week we’re connecting with leading, global, health-and-wellness experts to share the best and the latest science, and seeking to empowering us all to turn our health and lives around. [00:00:30] Boy, do we have another cracker for you today. We have Dr. Dale Bredesen on the show. I’ve got to just say, it never ceases to amaze me some of the information that comes out on these podcasts. I just feel like the luckiest guy alive sometimes. There’s one that myself and Stuart love today. Dale was just a champion. We get into neurodegenerative diseases today, as that’s Dale’s area of expertise. He is a internationally recognized expert in the mechanisms of neurodegenerative diseases, such as Alzheimer’s disease. [00:01:00] He’s also come out with a new book, which is a New York best seller, The End of Alzheimer’s. It was an instant New York Times success. Now the book, as well, is covering this groundbreaking plan to prevent and reverse Alzheimer’s disease. That fundamentally changes how we understand cognitive decline. 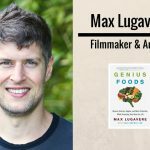 But there are so many valuable lessons within this podcast for all of us, whether we know anyone with a neurodegen- … I can’t even get the words out, neurodegenerative disease, or not. [00:01:30] Yeah, just get into it. Enjoy it. There’s quite a lot of technicality in here as well, but it’s definitely worth a couple of listens. 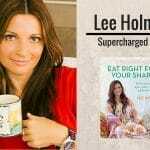 If you know anyone that is suffering from neurodegenerative diseases, then please share this podcast with them, because I think there’s definitely hope. This podcast will inspire them. It was just, yeah, phenomenal, and I’m keen to try and get this message far and wide. [00:02:00] The last thing I want to say before we go over to Dale is that if you are enjoying the shows, guys, I would love you to leave a review, five star it, and subscribe it, just to continue to help us get this word out there. I think we’re three reviews short of 100 reviews for here in Australia or anywhere. That’s fantastic. If you could be one of those three to get us over the line, that would be brilliant. Anyway, let’s go over to Dr. Dale Bredesen. This podcast is awesome. Enjoy! [00:02:30] Hi, this is Guy Lawrence. I’m joined with Stuart Cooke, as always. Good morning Stuart. Our awesome guest today is Dr. Dale Bredesen. Dale, welcome to the show. Look, it’s fantastic, mate. We always kickoff and ask the same question to all our guests when they come on the show. That is, if a complete stranger stopped you on the street and asked you what you did for a living, what would you say? Beautiful, perfect. I couldn’t say it any better. The other thing we always ask as well, Dale, is, would you mind just filling us a little bit in of your journey, your background, and what led you to be so passionate about this work, and making waves in the industry? [00:03:30] Yeah. I came from a different place than most people who are doing this sort of medicine today. I came from a very classical science background. I was interested in mathematics and chemistry when I was a kid. I went to Caltech, and spent time at MIT as well for those reasons, working in chemistry. And then decided that if we were going to do something … I got very, very interested in the brain. When I was a freshman in college, I read a very interesting book called The Machinery of the Brain. I got very excited about that and kind of got hooked for life on neuroscience. [00:04:00] But I realized that if I was going to make any inroads into the illnesses that affect the brain, I really needed to go to medical school. So I went to medical school and got a lot of criticism for being a scientist wanting to go to medical school. But I went into neurology, and as you know, neurology has a long history of being tremendous diagnosticians. And, of course, Sherlock Holmes was actually based on a real neurologist. But in general, neurologists have been known to be the group that does not do much about the treatment side, very good with diagnosis, not so great, not so successful with treatment. And the diseases, no question, they’ve been very, very difficult. So then that’s why I then went back into the lab. The whole idea was, could we understand the neurodegenerative process at a fundamental enough level so that we could actually fashion the first effective treatments? Because you could argue, this is the area of greatest biomedical failure. As they say, “Everyone knows a cancer survivor. No one knows an Alzheimer’s survivor.” [00:05:00] So that was the idea. Interesting, we came to what’s kind of functional medicine through a test tube, through looking at what actually drives the process. And when you see that, you see what is actually required in the therapy to make a difference. Wow, and how long have you been studying this work for now, Dale? [00:05:30] [00:06:00] We’ve had the lab up and running for 28 years. I was a post-doctorate fellow before that, so it’s been over 30 years. I worked for Stan Prusiner, who won the Nobel Prize in 1997. He was the discoverer of Prions. At the time, in the 90s when I was studying … Actually, it was in his lab in the late 80s. There was no model. We had a model to study cancer, of course, with cell culture, but we didn’t have a good, simple, model system for studying the neurodegenerative process. So when I started my own lab, which is 1989 at UCLA, I wanted to set up a system whereby we could look in a cell culture, very simple model system of what are the actual molecular events driving the degenerative process. That was the idea. Wow, that’s amazing. [inaudible 00:06:06]. [00:06:30] So from a neurodegenerative perspective, for our audience as well that might not be familiar with that term, we’re talking about diseases of the brain, for instance, Alzheimer’s, Lewy bodies, and a number of other associated conditions as well. I’m very intrigued to hear your perspective on the causes of the onset of these diseases. Yeah, that’s a great question because these are diseases that really have not been well understood. People will spend their whole careers on one theory. It’s all about reactive oxygen species. Or it’s all about a soap-like effect of amyloid. Or it’s all about metal-binding. So there’s work on this going on all over the world. [00:07:00] [00:07:30] What we found in Alzheimer’s … And we don’t yet know about these other ones, but we’re suspicious. We’re looking into these. But what we found in many, many years of Alzheimer’s studies … And, yeah, if you think about 28 years, we’ve been pretty slow. It’s taken us a long time to get there. We didn’t actually speed to the finish line here. It’s taken a long time, but what we found was really striking and very different than the dogma about these diseases. What we found is that Alzheimer’s disease, what we call Alzheimer’s, which is, as you know, based on the pathology that there are plaques and tangles. There’s amyloid there, and there’s phosphotal. [00:08:00] What we’ve found is that this is actually a protective response, not a destructive response. It’s a protective response against three fundamentally different types of insults. Now, no question, part of it is, you do have this downsizing of your neural network. But fundamentally, this is your brain reacting against different insults. And if you therefore look at the insults until you can actually see subtypes of the illness. You can actually see what to do about it. Sorry, Guy, just I wondered if you could expand a little on those insults because I’d love to know what the most common insults are. [00:08:30] Absolutely. So what happens is, is if you look at the molecular basis, what actually happens in Alzheimer’s disease, it’s really a beautiful picture. At the heart of this, as you know … And people have looked at the “amyloid and the tao” for many, many years. The molecule that gives rise to the amyloid, which is called amyloid precursor protein, reasonably enough, so APP is the fascinating receptor in neurons and other cells that literally acts like a molecular switch. [00:09:00] So if you take this molecule and you cleave it at three different sites, of course, you get four pieces, four fragments, four peptides. And these things are all mediators of synaptic retraction, neurite retraction, loss of synapses, the very things that you see in Alzheimer’s disease. [00:09:30] And then on the other hand, you can take the same parent molecule, you can cut it at a different site, a single site, and you get two things, two fragments, or peptides, which are called sAPPalpha and alpha CTF, that actually support just the opposite, the making of synapses, the growing of neurites. So you have this beautiful switch. [00:10:00] And by the way, this is no different than what you see with oncogenes. Are you going to get cancer or not. Oncogenes, tumor-suppressor genes, or if you’re going to get osteoporosis. As you know, there’s osteoblastic activity, making bone. And there’s osteoclastic activity, that is, reorganizing the bone. And as you get older there can be an imbalance, so you have too much osteoclastic activity, too little osteoblastic activity. What do you get? Osteoporosis. [00:10:30] We found the exact same thing occurs in Alzheimer’s disease. You have a whole set of signals that are synaptoblastic, making synapses, and a whole set of signals that are synaptoclastic, pulling … And as you get older … And again, with specific genetics, it’s more. And with specific food that you eat, if you’re sleeping or not, how much stress you’re under, what’s your vitamin D level, how much inflammation is going on, dozens, and dozens, and dozens of these things that determine whether you are on the synaptoblastic side or the synaptoclastic side. Everybody with Alzheimer’s is on the synaptoclastic side. [00:11:00] So what are the … Going back to your question, what are the major things here? Number one, anything that causes chronic inflammation. That can be pathogens, spirochetes, bacteria, fungi, chronic viruses, things like herpes, things that have been associated with Alzheimer’s. It’s just been unclear why. Or eating too much trans fat, eating too much carbohydrate, these are things that all cause the activation of inflammatory pathways. And you can actually trace beautifully a direct pathway. [00:11:30] [00:12:00] For example, if you activate NFcapaB, which is part of the inflammatory cascade, then in fact you turn on the very genes that cleave your APP at the site to give you the four synaptoclastic peptides. So you can literally trace a direct pathway to Alzheimer’s disease from inflammation. We call that type-1 Alzheimer’s disease, which is inflammatory type. And by the way, the [inaudible 00:11:45] physicians of thousands of years ago recognized what they call [PITO 00:11:49], a hot type of dementia. Of course, they didn’t call it Alzheimer’s disease thousands of years ago, but they recognized a form of dementia that was associated with inflammation. [00:12:30] Now the second type, we call this type 2, you get the same effect on APP if you take away all of the trophic support. So think about it. You have almost a quadrillion synapses in your brain. And these things require you to feed them with what, nerve growth factor, brain-derived neurotrophic factor. I’m sure you guys talk about this stuff all the time. What else? Estradiol, progesterone, pregnenolone, thyroid, testosterone, vitamin D, these are all critical supporters of this network. [00:13:00] Now, if you remove that support from this network, what happens? The network downsizes. This is no different than your CFO saying, “You guys can’t hire any more people into the company because we don’t have enough to support it.” That’s exactly what happens with this disease. So that is type 2, or what we call cold atrophic Alzheimer’s disease. [00:13:30] And by the way, there’s a very common type that has features of 1 and 2 which we call glycotoxic or sweet. And this is for people who have chronically high glucose and insulin levels. It’s the people that have insulin resistance. And the reason that they have this is, the glucose itself, of course as you know, will glycate your proteins. It’s why you have hemoglobin A1c that’s high, which causes the inflammation. So that’s type 1. But they also cause insulin resistance so you don’t respond as well to insulin. Of course, insulin is a critical trophic support for your brain cells. So you get a combination of type 1 and type 2, which is why we call it type 1.5, or glycotoxic, or sweet Alzheimer’s. [00:14:00] And then there’s a type 3, which is very different. This is where you are now making the amyloid as a protection, not against inflammation, or not trying to kill the bugs. And by the way, the amyloid itself is antimicrobial, which is why you have this type 1. It’s trying to kill the bacteria, or the fungi, or what have you. And that’s beautiful work out of Harvard from Robert Moir and Rudy Tanzi. That showed this beautiful work. So that’s type 1, type 1.5, type 2. [00:14:30] [00:15:00] Now you also make this because it binds metals. Actually this was shown most beautifully by an Australian researcher, Dr. Ashley Bush, who spent his career looking at metal binding and related events with a Beta and showed that it, in fact, it’s a beautiful binder of things like copper. So it tends to bind divalent metals like mercury. So you can get this same phenomena … By the way you also make amyloid to bind mycotoxins, biotoxins. So for example, if you’re exposed to toxins that are produced by mold, you will also have the production of this. Then there is type 4 and type 5. Type 4 is a vascular type and type 5 is a traumatic type. [00:15:30] But the bottom line is these three major insults: inflammation, loss of trophic support, and exposure to toxins, all cause your brain to go on the synaptoclastic side to produce this amyloid. So you are literally protecting yourself. In so doing, you are downsizing. I tend to think of this as … Imagine that you’ve got a mobile, electrified fence. Imagine that the bad guys breach your border. So what you’re doing is you’ve got this fence, you’re literally laying down this amyloid and saying, “Okay, I’m going to back up a little bit, but don’t come any farther than this.” So that you are literally downsizing to save the overall neural network. [00:16:00] Got it. [crosstalk 00:15:52] but the consequences, clearly, are quite devastating then for the patient, because as a protective network, the end goal really is that quality of life diminishes as well. Hugely, but this also tells you, when you get this, you don’t get it for no reason. And this has been one of the big problems. People keep saying, “It’s mysterious, we don’t know why it’s happening.” Well, it’s not mysterious if you look at the many different parameters. And this is, again, has been a big problem for all of us as physicians. [00:16:30] [00:17:00] Over the millennia we’ve been dealing with these extremely complex organisms called human beings. And yet we get these very tiny data sets, serum sodium, serum potassium. They just aren’t big enough to reflect what’s actually going on. So now we look at many other things. We look at: What is your hs-CRP? What is your status with respect to inflammation? What is your status with respect to glycotoxicity? What is your fasting insulin? Do you have exposure to mycotoxins? You need to look, because many people do have these exposures. When you do that, you can actually see, for each person, what is driving the process. And by the way, we almost always find that there are between 10 and 25 different contributors. We haven’t seen a single person yet who had … and this is over a 1,000 people who have come through, who has a single contributor. [00:17:30] Got it. So what’s the traditional treatment, or what’s been current for anyone that’s been diagnosed in any kind of neurodegenerative diseases? I’m interested as well as to when you start looking at functional medicine as well, because there’s so many other aspects to support what you say now, yeah. [00:18:00] It’s a great point. And by the way, I just got another email five minutes ago, just very typical, maybe it was 10 minutes ago at this point, but just this afternoon that basically said, “My doctor told my husband he has Alzheimer’s and said to him, ‘Go on a trip, because there’s nothing to be done. '” And again, if you don’t look to see what’s actually causing the problem, you’re not going to find it, and you’re going to think that it is mysterious. [00:18:30] So usual approach, just as you said, Guy, is you come in and you’re told you have a neurodegenerative condition, be it Alzheimer’s, or Lou Gehrig’s, or Lewy body, or what have you, you’re told that it is mysterious. We don’t know why it happens. There’s nothing to be done. If you have Alzheimer’s, you’ll get a drug like donepezil or memantine, which has a minimal effect. And as you know, as soon as you get any sort of improvement, then, of course, you go right back into the decline again. So it doesn’t sustain the improvement. And you’re basically told that it’s hopeless. And this has been a huge, huge problem, as I said earlier, arguably the area of greatest failure in biomedicine. 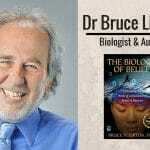 Stu: [00:19:00] So from a testing perspective, should we be looking at functional medicine then to, perhaps, conduct a barrage of tests in terms of heavy metal, bloods, all of the inflammatory markers that we might need to nip in the bud at an earlier time in our lives before we, I guess, we’re subjected to the onset of potential neurodegenerative decline? Cognoscopy, so it’s just like a colonoscopy but it’s for your brain. People [inaudible 00:21:33] me, it’s a horrible word. It sounds bad, but it’s easy to remember. If I’m approaching my functional-medicine specialist, and I’m very aware that I want to test for this, but they scratch their head, what tests am I typically looking to achieve? Dr. Dale: [00:22:00] Yeah, it’s a great question. We actually right now look at 150 different variables in our … We have a computer based algorithm that will tell you what percentage of each subtype you are at this core or you actually have. And then it will generate for you an initial program. And of course, you can then decide with your other … So then you can decide of course whether you want to go forward with a control etc. [00:22:30] You basically can talk with your doctor. And that’s where the doctor comes in and says, “Okay, I’m going to fix this part,” or, “I’m going to … I have [inaudible 00:22:29] of around this particular area, or that.” Here are the tests you want. You want to again look at the three main things. You want to know, “Do I have ongoing systemic inflammation?” So you want to know. At the very minimum your hs-CRP and your albumin to globulin ratio. You might want to also know things like interleukin 6. You might also want to know things like TNF-alpha. You want to know if you have ongoing systemic inflammation because, unquestionably, that will contribute. [00:23:00] Second thing, you want to know … And by the way, I should add one more thing for the inflammation. Of course, you want to know your homocysteine. That reflects both the inflammatory side and the methylation status, very, very important. And you really want to have a homocystine of less than seven. [00:23:30] And by the way, that’s another important part of all this. We always tell the patients, “It’s no longer good enough to be a low end of normal. We want you to be at … We’re going to treat you as if you were a competitive athlete. We want to make sure that you have an optimal range.” When people say, “Well, a B12 of 350 is within normal limits.” Yes, but it’s not optimal. Just the very arbitrary … To take two standard deviations from the mean is extremely arbitrary. [00:24:00] So we want to make sure that you have an optimal level of all these different things. So then we want to know your fasting insulin. Everybody should know their fasting insulin. It’s an absolutely critical parameter to understand whether in fact you are at risk for cognitive decline, and of course, other things like metabolic syndrome as well. You want to know your hemoglobin A1c. You want to know your fasting glucose. These things are all critical. [00:24:30] Then you want to know your trophic support. Now unfortunately, there’s no simple way to measure your CNS concentration, your central nervous system concentration of BDNF, although neural exosomes are going to revolutionize this field. They well allow you to look at brain chemistry, essentially, in real time through a blood sample. And Professor Ed Goetzl from UCSF has published some wonderful papers. And many groups now are studying neural exosomes. [00:25:00] They are literally tiny, tiny fragments about 1/70th the diameter of a red blood cell. And you have 1.2 billion of these per cc of blood of which about 10% are from your neurons, most of those from your brain. So that you can actually look at these and say, “Aha, do I have appropriate BDNF signaling appropriately [inaudible 00:25:09]?” So I think it’s going to be very, very helpful going forward. You want to know your status. Stu: [00:25:30] Yeah, that’s fascinating. And for everything that you’ve told me, I’m almost reading an underlying protocol that is telling me that I really need to be mindful of what I’m eating, the quality of food that I’m eating. Exercise is important, especially when you’re talking about BDNF and things like that. Sunshine is important. And all of these things might channel into quality of sleep and stress management as well. [00:26:00] This is a really good point. My wife is an integrative physician. 25 years ago, when we were in the lab, she said, “Whatever you guys find, it’s going to have something to do with some of these basic things like your nutrition.” And of course, I laughed and I said, “No, no, no. We’re going to find one molecule one, [inaudible 00:26:00], one region.” I was very reductionistic in my approach. And of course, I should have listened to her 25 years ago, we would have gotten there much more quickly. That is absolutely true. [00:26:30] And I have to say, I have been shocked over the last five years. The longest patients on this have been 5 1/2 years. To see how critical nutrition, sleep, exercise, stress reduction … 10, 15 years ago I thought meditation was worthless. I didn’t believe in it. And I have been shocked. If you had told me I’m going to be telling people you have to eat right, and meditate, and all this, I would have [inaudible 00:26:37]. [00:27:00] But here’s the big difference. It’s not just about eating right and all these things. It’s about then seeing, in your own biochemistry through your blood samples, “Have I impacted the critical numbers that are driving my risk for decline or my decline?” So it’s all well and good to “eat right,” but if it’s not impacting those numbers, then something’s wrong because as you know, there are a lot of crazy diets out there. [00:27:30] We find is that … and what others have found, driving people into mild ketosis, 0.5 to 4mM beta-hydroxybutyrate, is one of the critical pieces. Critical fasting times, huge. So no question, nutrition is arguably of what we call the 36 holes. We tell people, “Imagine you have a roof with 36 holes in it,” because you really have to patch all these things. And when you do that, you see these dramatic improvements that we’ve seen time and time again in these people. And if you don’t do that, you don’t see these dramatic improvements. But when you do that, it absolutely includes your nutrition. [00:28:30] A simple way to think of this is, that you can think of this, kind of, in four phases. There’s the presymptomatic phase, where you don’t have symptoms yet but you can already, if you do a scan, you can see the amyloid there. Then there’s a second phase, which we call SCI, subjective cognitive impairment. And that’s where you already have symptoms but in fact, you’re still testing within normal limits. And then the third phase is called MCI, mild cognitive impairment. And that’s where you know there’s a problem and the tests also show it. But you’re still able to do your activities of daily living, care for yourself, etc. And then, of course, Alzheimer’s is the fourth stage, where you, actually, now are having trouble with your activities of daily living, by definition. [00:29:00] No question, the earlier you are on that, the more certain … People with SCI, 100% of the people on the protocol get better. People with MCI, most of the people on the protocol get better, if they do the protocol. And by the way, one of the most telling things about this is that when people go off the protocol, they get worse. They go back on, they get better again. [00:31:00] Yeah, right. I’m just thinking very quickly. You mentioned symptoms. Now I’m 45, so I’m very much aware now that I’m entering that time where perhaps I’m … I think that it might be normal for me to forget things, my vocabulary, perhaps, to be nowhere near as available as it used to be, I guess. What would the general symptoms be right now from kind of my standpoint, all the way up to old age, when we would expect these diseases to take hold? [00:31:30] Yeah, so first of all, you’re a youngster. 45 years, that’s really young, actually. So first of all, you should not be experiencing any of those. Your vocabulary should be just as good as it always was. Now it’s true, some people have argued after you hit 30, your processing speed can go down a little bit, okay. But in fact you’ve got more experience now. You’ve got more wisdom now. So I would strongly recommend go get your cognoscopy. Do you know your [inaudible 00:31:31] status? Okay, do you know your fasting insulin? I could access it. I do have notes on that, yes. [00:32:00] Okay. All right, there’s a tremendous amount you can know today. Again, 50 years ago people didn’t think much about their cholesterol. And of course, in the last 50 years pretty much everybody knows their LDL, their HDL, their [inaudible 00:31:55]. You want to know these things for your brain. These are critical pieces to know. Of course, I go through all that in the book, all the different tests to get. Then you can adjust things. You can say … By the way, you will notice it as you tune these variables up, as we say, as the metabolism goes, so goes the cognition. [00:32:30] You may not know whether you were exposed to mycotoxins. That can easily be picked up in your urine. You can find out, “Okay, am I exposed to these things?” Because we have had a lot of people in their late 40s and early 50s who have come through, who’ve begun the process of dementia, and it turns out to be due to exposure to specific toxins. When you get rid of those, they do better. A good thing for everybody to know. So what I was saying was that in the US, it is now the number three cause of death in the United states. It’s huge isn’t it? And the question was, then, with them kind of numbers, is it in your mind, this disease preventable? [00:34:30] Absolutely. We’re not the only ones to say that. Just even recently people were saying it’s not preventable. Beautiful study, of course, coming out of Finland called the FINGER study, in people who had high vascular risk factors, showing that there was prevention available. And we’re the only ones so far to publish reversal as opposed to prevention. But I have no doubt that others … And we’re actually writing up the next 50 cases now. Others will do the same. Absolutely, this, as I said, should be a rare disease. And our goal is to reduce the global burden of dementia. Amazing. And do you think it’s going to be adopted in time by the sort of mainstream medical establishments? [00:35:00] Well, I don’t know. We’ll see. You look at what’s going on, for example, in Silicon Valley, and everything’s about disruption. As you know, in the medical field, there’s a lot about tradition and permission. We have certain traditions that we honor, the way we were taught, etc. And people don’t tend to want to change that. It’s not a disruptive area. Because you have to remember, you’re talking about people’s lives, so of course, you want to be very, very careful. [00:35:30] Having said that, when you’re in a situation where there is no hope otherwise. You’re just going to give them medicine and watch the person die, I would hope that people will be more and more interested. Certainly there are many, many groups … We’ve now trained over 650 practitioners from seven different countries, including a number from Australia, and all over the world, and all over the US. My hope is that there will be more and more people who will adopt this sort of approach. We do. In fact, we just finished a training a week ago in Dallas with 200 more practitioners. This is through Institute for Functional Medicine. There will be another training in Miami. That will be in December. There should be another one in London in April. We’re waiting to see if that’s going to get set up or not. Yeah, there will be more next year. Yes, we are continuing to train physicians from all over the world. [00:36:30] And I should add, by the way, a critical part. Something, when I was training way back in the 70s and 80s, we didn’t talk … I didn’t even know what a health coach was back then. With complex chronic illnesses, where instead of just writing a prescription, you’re now looking at what we would call programmatics, personalized, optimized programs, different for each person of course. And with these, it’s tremendously helpful to have a health coach interact with the patients. Totally. [00:37:00] Stu: Excellent. I spoke to you before we went on air that I initially stumbled across your book, The End of Alzheimer’s. And I thought, “Crikey, this is just … I really do need to speak to Dale about this.” I’m just intrigued as to what we can expect from the book. [00:37:30] So what you can expect from the book is the first comprehensive description of the scientific background written so that it can be readable by anybody. So what I’ve tried to do … and worked with the editor and the publisher on this, to make it so this is a book that everybody can read. Even patients can read and their caretakers. It’s for everybody. But it will give you all of the testing, all of the background, and all of the reasoning, the rational, why you want to know these things. How does this work? [00:38:00] And then at the same time, I’ve added in the appendix a scientific proof for this particular model, so that anyone who’s a scientist or practitioner can see that we’re not grabbing … this is not some fantasy. We published over 220 peer-reviewed papers on this. We’ve had the lab up, as you know, as we talked about earlier, for 28 years. This isn’t coming from nowhere. This is coming from putting these pieces together over the last three decades. You can find this everywhere. So this is now Amazon, Barnes and Noble. It’s now in Costco. I mentioned Barnes and Noble. It’s also in Walmart. It’s everywhere. It’s all over the place. [inaudible 00:38:41] anywhere you go. [00:39:00] Awesome. Just a recap, because we’ve covered a lot of dense information over the last 35 minutes and I’ve no doubt a lot of the listener’s brains are going to be like, “Oh, my God. There’s words we haven’t heard before,” and so forth. Just to recap it, right, just condense it a little bit, if somebody is listening to this that might know somebody that might have Alzheimer’s, or a neurodegenerative disease, or they’re suspicious, what would be the kind of advice you would give that person right now if you had two minutes with them. Do you have a list of practitioners on your website that they can go and seek around the world, or …? [00:39:30] Yes, you can go to the website. There’s a website, drbredesen.com, and another one at mpicognition.com. So we are doing everything we can to get the message out. And to make it so people have access and hope. This has been something, as you know, that’s been without hope in the past. And as I say, this actually should be a rare disease if we all do the right things. [00:40:00] So there has been, I think, for that reason there’s been a good response to the book. It’s on the New York Times Bestseller list. There’s been a lot of interest in what can actually be done. Yeah, as you said, you want to get a practitioner who’s familiar with this, get the appropriate tests. We go through all the tests in the book and the reason for each one of these, why they actually impact cognition and cognitive decline. Then we go through each of the things that you can do to respond to each of these changes that can give you the optimal chance for improvement. Brilliant, brilliant. I had one other question as well, going left field slightly of all this. And that was cognitive skills, learning new skills, does that have a direct impact on preventing this as well? [00:40:30] Dr. Dale: [00:41:00] This is a really good point. One of the points that this raises is what about people who are already doing well? In fact, if you optimize these things, you will do better. Actually this is something that Professor Mike Merzenich, just won the Kavli Prize recently, who is really the leader in neuroplasticity, has pointed out that if we improve global cognition, there will be fewer crashes, fewer plane crashes, fewer car crashes, better performance at work. This is not just about taking people who are having problems and making them better or who at risk, but also people who are doing ” well” but could actually be doing much better. [00:41:30] No question, when you do these sorts of … whether it’s brain training or these sorts of things, it’s a little bit like lifting weights. If you lift weights but you don’t do anything about your nutrition, it really doesn’t do much for you. If your hormones are not in good shape and your nutrition is not in good shape, then lifting weights is not going to do that much. But if you now do it with the whole concert, the whole critical set of things, you’re going to have a much better outcome. In our overall protocol, we absolutely include brain training because, in the right setting, it’s quite powerful. Yeah, got it, but it needs the support of everything else. Yeah, fantastic. Exactly, this all works together. Great question, because some of those things tend to fall by the wayside as we [inaudible 00:42:05]. I’ve been on planes every day for the last couple of weeks. But yeah, very good point. The non-negotiables are to spend some time and recognize my family members. I love my family, and we’re close. [00:42:30] Secondly, to try to do the best possible … Again, as I said it earlier on, the key to everything is to do everything possible to make people who have neurodegenerative disease better. And that includes writing. And it includes calling, and emailing, and studying. But the bottom line is not to get stuck in one area, just say, “Well, I just do this, or I just do that.” [00:43:00] This has turned out, surprisingly, to be activism. I never got into this to be an activist. But I’m realizing more and more, you have to be an activist if you’re trying to change the world here. Just hearing the people who have improved is huge. I think that’s a critical, non-negotiable piece. And then the other one is trying to apply this to ourselves, appropriate nutrition, appropriate exercise. And I definitely fail sometimes in those, appropriate sleep, appropriate looking at your own numbers and seeing where things stand. I think the legacy that we all want to have is to leave the world in a better place than we found it. That’s the goal. Yeah, fantastic. [00:43:30] Guy: Brilliant, brilliant. The last question is, Dale, what’s the best piece of advice you’ve ever been given? [00:44:00] Wow, that is a great, great question. The best piece of advice I’ve ever been given, I guess it would be … and it’s something I didn’t do until just a few years ago, is to not worry about the criticisms. When I was a little boy, my mother told me … At the time, John F Kennedy was the president. And of course, it was before he was assassinated. And she said, “Look, the farther you go, the more you accomplish, the more you’re going to be criticized, no matter what.” She said, “Look at President Kennedy. So many of us admire him and yet so many people are angry at this guy and criticize him.” So she said, “You just cannot worry about criticism if you’re doing what you believe is right.” [00:44:30] [00:45:00] I think that’s a good point. I have to say when I was earlier in my career, I worried about whether the grant reviewers were going to criticize me. I worried about whether the reviewers of my papers were going to criticize me. What I came to realize is that … When it kind of hit me was, mediocrity only excels at one field. And that’s protecting its own interests. The reality is when you’re dealing with mediocrity, it’s going to work very, very hard to protects its interest. When you’re trying to change things, you’ve got to convince yourself that you’re on the right path. And that’s very hard to do. But if you finally get there and you say, “You know what?” If you look at the data yourself and you say, “This is actually working. This is something that is critical.” Then you just have to ignore all of the criticisms and continue on your path. Yeah, that is brilliant. That is inspiring. Yeah, have you found you’ve come under much criticism with the book? [00:45:30] Oh, my gosh. Oh, yeah, tremendous. Yeah, are you kidding? It’s interesting, you can look at the book reviews. We’ve had a lot of very, very positive reviews. But of course, we’ve had people who say, “Well, my relative died of this, and I don’t believe what you’re saying.” We’ve had one person who said, “You’re throwing away research from other researchers, and you’re claiming that this is the way this works, but there’s all these years of research.” We have some of the foundations that say, “We have a set of scientists that work with us, and we don’t believe you.” [00:46:00] [00:46:30] To me, this is part of what the best of academics should be. We should be arguing with each other about the better ways to treat cancer, better ways to treat diseases, understanding … Look what happened with the cold fusion. Look what happened with quarks, all these sorts of things. When I was first starting in college, people didn’t believe in black holes. It became extremely clear very quickly that in fact, of course they exist. All these things go through these periods of screaming and yelling back at each other, and that’s positive if, ultimately, the truth comes out. Yeah, of course. Yeah, brilliant. I love it. What does the future hold for you, Dale, in the next sort of 12 to 18 months. Amazing. Well, we’re going to do our best from this end in Australia to push this message for you as well, because that was just absolutely brilliant today. I am fascinated. [00:48:00] Thank you very much. I’ve been really impressed, I have to say, as a group, Australian citizens have really been very forward thinking in their approach to chronic illnesses, and their approach to nutrition, and to wellness. I suspect that they’re going to do a very good job with decreasing the cognitive decline. This should happen globally. Well, thank you so much for coming on the show, Dale. I have no doubt everyone’s going to get a lot out of that and it’s very, very much appreciated for all that you do. Thanks, very much Guy. Thanks Stuart. Great to talk to you guys. Thank you. Yeah, we’ll speak to you soon.